● Aric Almirola started Stage 1 in the 26th position and advanced three spots to finish 24th. ● On lap 15 Almirola reported a loose-handling condition to his Smithfield team. ● The 34-year-old driver continued to battle the loose-handling condition the majority of the stage, even moving from the lower line to the higher line on lap 30. ● Almirola ultimately finished Stage 1 in the 24th position. ● Almirola started Stage 2 in 20th and finished 27th. ● Before the start of Stage 2 Almirola visited pit road for four tires, a double adjustment and fuel, reporting he needed major changes to his No. 10 Ford Fusion. ● Almirola was able to avoid a lap-50 accident and noted that his handling improved from Stage 1. ● A 25-car wreck on lap 53 collected Almirola, who was forced to pit twice for repairs. Unfortunately, he was also forced to serve a two-lap penalty for too many crew members over the wall. ● Almirola avoided a lap-65 accident and was able to pit again for additional repairs. ● Almirola started the final stage in 27th and finished in 27th. ● Almirola regained a lap, advancing him to just one lap down, during the lap-85 caution period. ● The Smithfield driver worked his way up to 26th as the first car one lap down by lap 97. 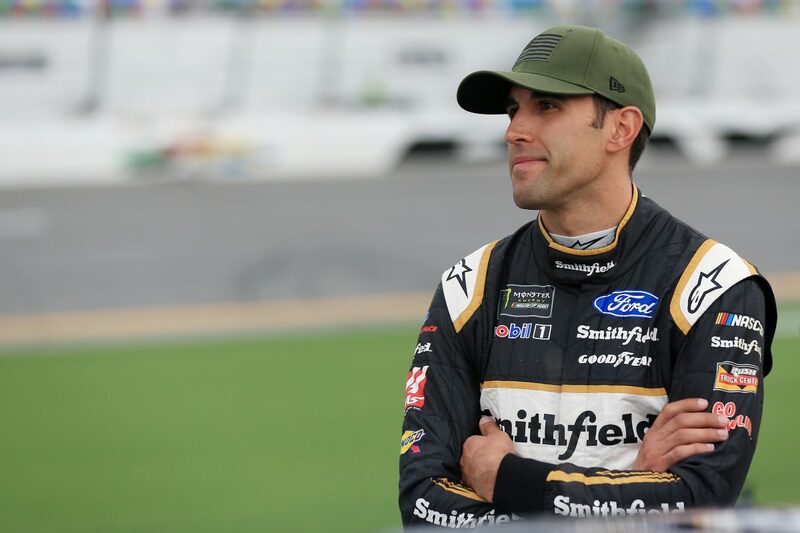 ● Almirola noted on lap 121 that his Smithfield Ford still felt good enough to win the race, and the team worked diligently to get back onto the lead lap. ● The Smithfield team received the free pass on lap 133. Almirola was running in the 21st spot. ● The No. 17 made contact with Almirola with 12 laps to go, causing slight right-side damage and a tight-handling issue while the No. 10 was in the 11th spot. ● Almirola was collected in a multicar wreck on lap 155 that ended his night with a 27th-place finish. ● Erik Jones won the Coke Zero Sugar 400 to score his first career Monster Energy NASCAR Cup Series victory. His margin of victory over second-place Martin Truex Jr. was .125 of a second. The next event on the Monster Energy NASCAR Cup Series schedule is the Kentucky 400 on Saturday, July 14 at Kentucky Speedway in Sparta. The race begins at 7:30 p.m. EDT with live coverage provided by NBCSN.